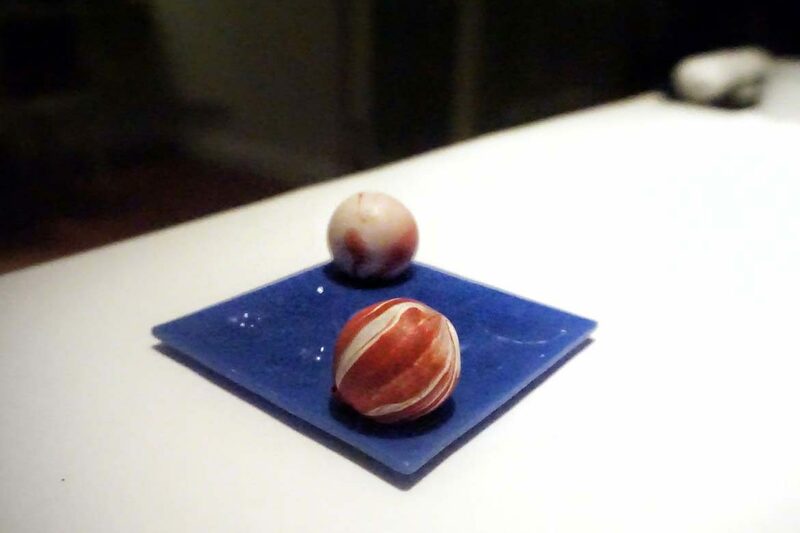 Gaggan. He’s a superstar of the culinary world…a bit like Madonna and Britney, the first name is all you need. 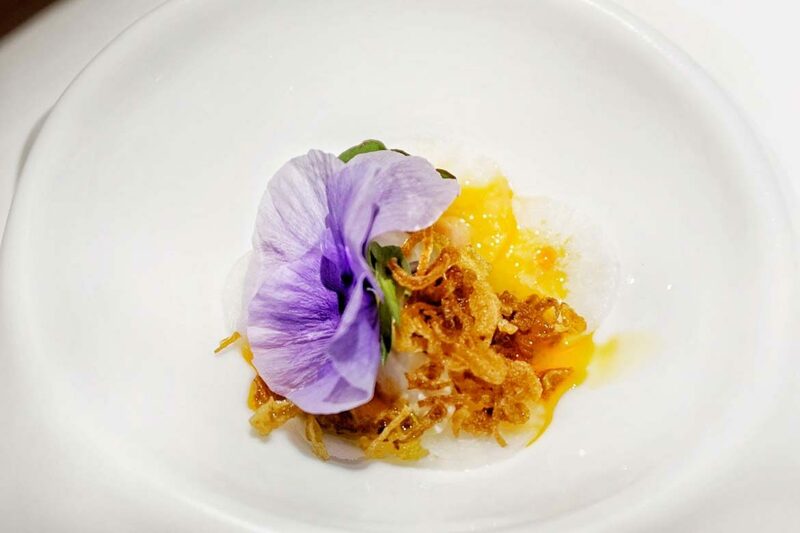 It’s my second time to Gaggan’s eponymous restaurant, and after hearing that his new menu consists of 25 emojis, it’s safe to say I’m pretty excited – not just because I’m fond of peppering my communications with said emojis, but because it’s sure to be a freewheeling journey through Gaggan’s culinary imagination. Or should that be emoji-nation? 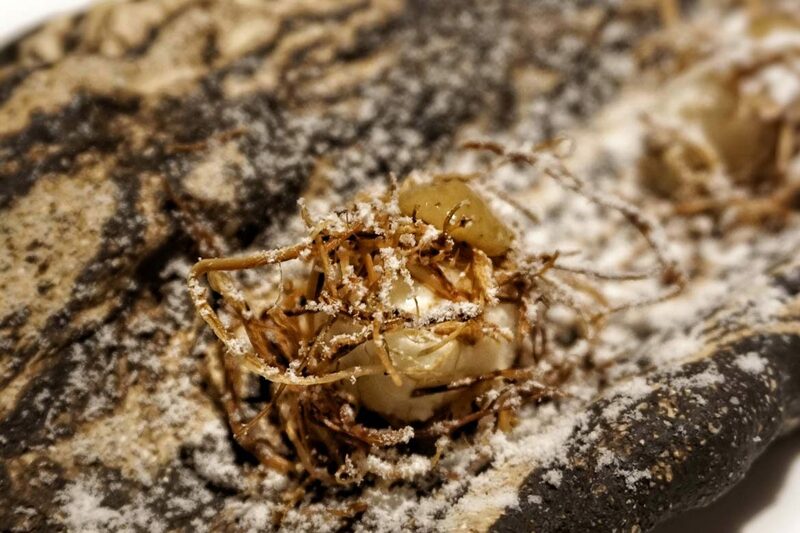 To set the scene, it’s the night-after-the-night-before….that night being Asia’s 50 Best 2017, the night when Gaggan took out it’s third straight no.1 placing. (Being that the restaurant AND the chef are named Gaggan, you’ll have to forgive my occasional confusion as to which pronoun is appropriate.) It’s no mean feat, with the acclaimed Restaurant Andrè and the superb Amber hot on their heels in places two and three respectively. 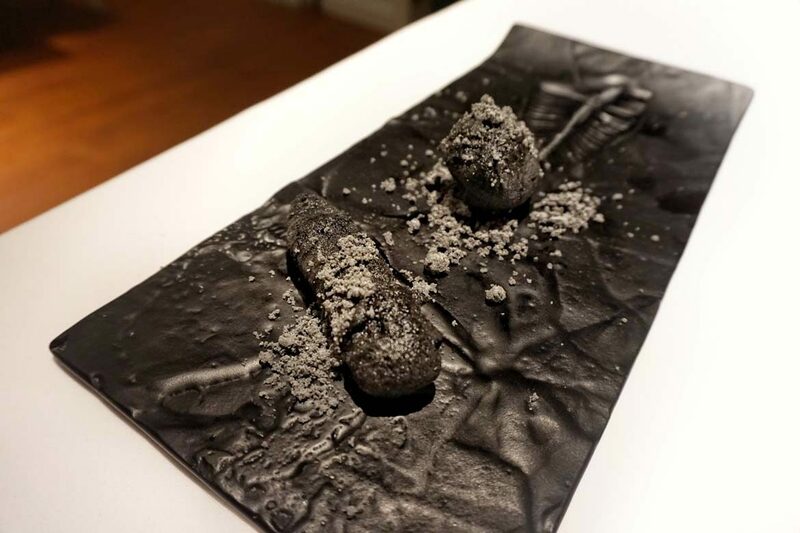 Yes, the food is sublime, but it’s the heart, soul and passion of Gaggan and his formidable team that keep it topping the charts (Gaggan’s had more no.1s than Madonna and Britney in recent years too). If you’ve met the larger than life personality that is Gaggan, you’ll know what we mean. 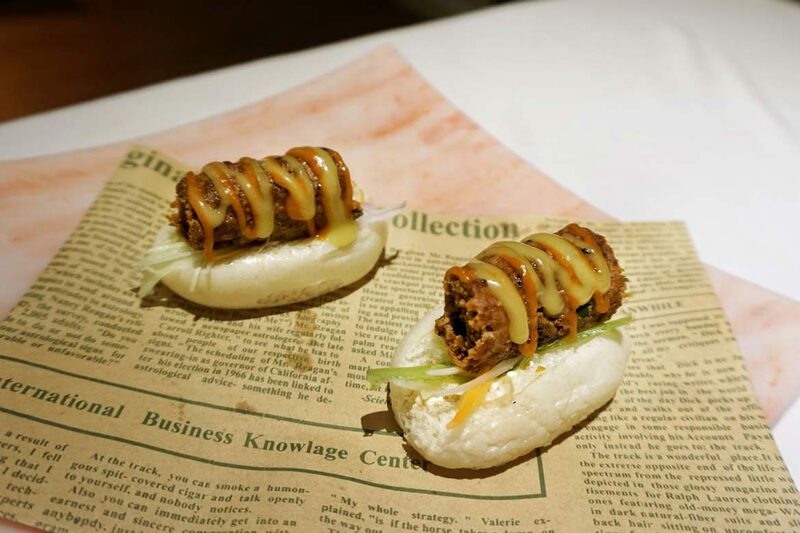 Celebrations were in full swing the night previous (well let’s just say ‘night’ is a loose term…we departed the Gaggan afterparty at 4:30am and we believe some were there until 8am) – so you’d forgive the team for being a little sluggish. Especially as Gaggan himself and the Meatlicious gang managed to fit in hosting a hangover brunch post-party. We excused ourselves from the carnivorous festivities in order to sleep, but most of the staff on the floor were surviving on fumes. It’s a testament to their professionalism that if you didn’t know, you wouldn’t know – and that’s just one of the reasons why they are number one. Somehow they’d also managed to miraculously return the restaurant to it’s pristine state from its brief stint as a dance floor the night prior – that these restaurants are able to host amazing parties and then turn back into a world class venue within hours never ceases to amaze me. The venue was already stunning last time we visited, but this year brings the addition of a gorgeous glass-fronted, black-and-white-tiled, marble-inlaid, double-storeyed extension. Put simply, it’s gorgeous. 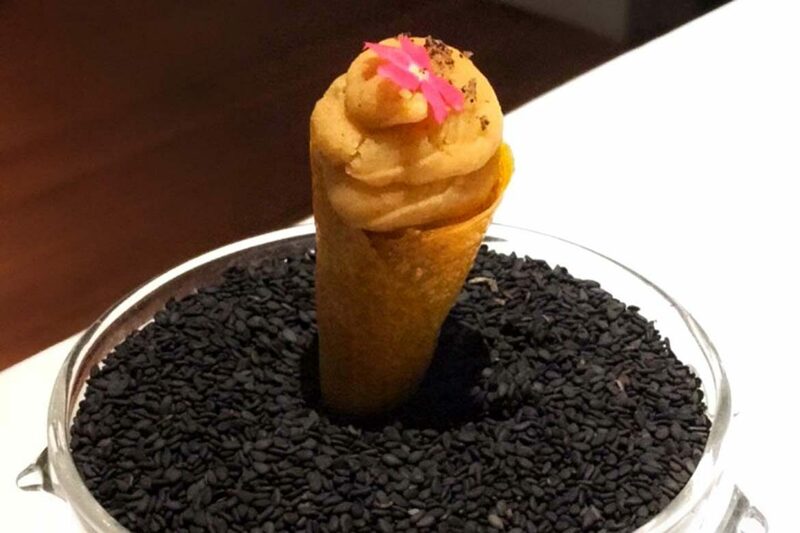 Apart from catering to the overwhelming demand you’d expect for Asia’s no.1 restaurant, the upper level also houses Gaggan’s new ‘lab’, a giant chef’s table of sorts where you can watch some crazy food action happening right in front of you. It’s definitely on the list for my next visit to Bangkok and should be on yours too – if you can get a seat that is. Speaking of seats, if you’re a kitchen lover, ask for the table right by the kitchen window. It’s a magical glass wall of sorts – switching from frosted to crystal clear with the flick of a switch, offering you the best view in the house of the behind the scenes magic. We’re fortunately being looked after by Zack on this occasion, former owner of infamous Thai Me Up on Ponsonby Road, Auckland – my old stomping ground. He’s here for the love of it, and you can tell. If he ever decides to give up the culinary game, we reckon he’d do well as a stand-up comedian. You couldn’t get a better match than our host to present the cheeky and fun emoji menu – he had us guessing ingredients and laughing uproariously with every course. Even better, we could see that Zack was able to adapt his level of showmanship depending on the vibe of the table, with our neighbouring table preferring to keep things a little more straight-laced than our wacky selves – the true hallmark of great service. Dubai, take note. This is all you’ll see before you begin your journey. After you’re done you’ll get a full list explaining more of the ingredients, and some may surprise you (goat brain??). I’ll let you figure out where the hidden goat brain lies for yourself…that’s part of the fun, right? Zack tells us right off the bat that they expect that we will hate some courses. When you’ve got 25 dishes on the menu, I’d have to agree that you’re not going to love every morsel. 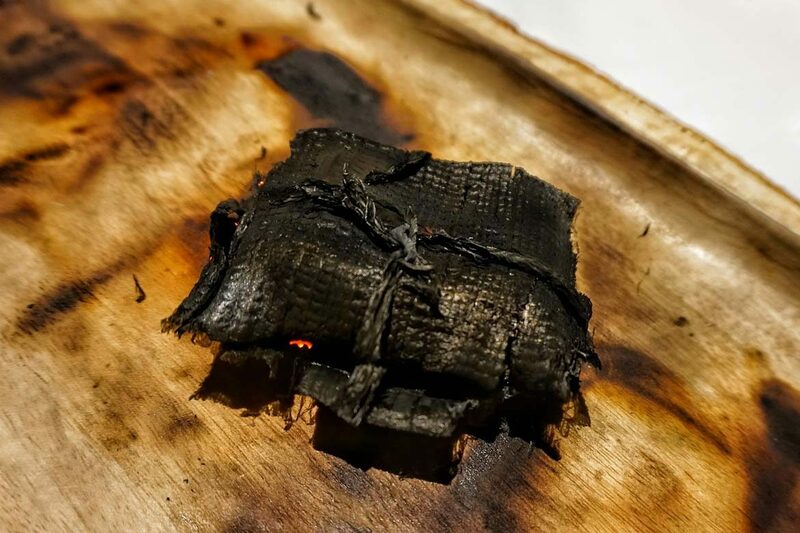 We still vividly remember courses we didn’t love from the fantastic Mugaritz’s 24-course menu, but that’s par for the course with a menu of this size. Looking back on the full experience, yes, there were courses we’d edit out for our tastes, but we can’t say we hated any. They were all spectacularly unique and intriguing. Personally, we’d take our meals in 25 intricate pieces any day. We don’t want to ruin all of the surprises for you, even though this is an evolving menu – ours was already version 2.0 of the emoji season. Let us take you through some of our favourite dishes of the night. 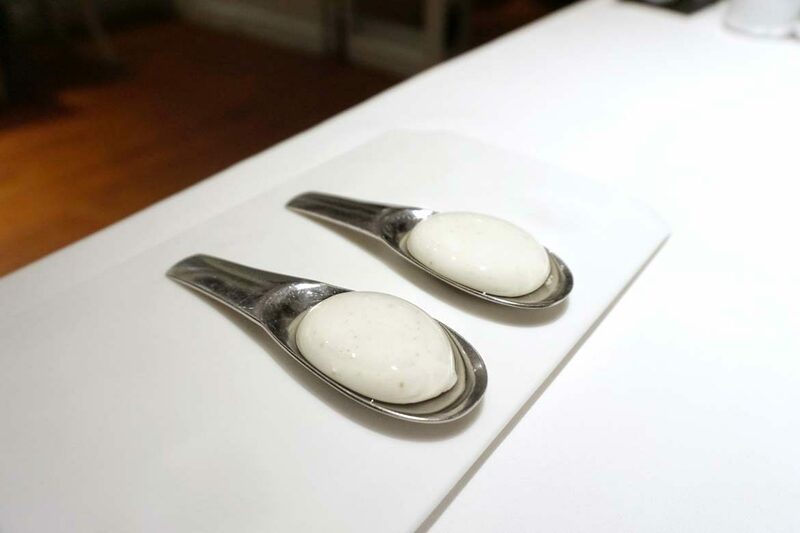 Harking back to Gaggan’s El Bulli days, it’s a classic that we suspect will forever remain a mainstay of the Gaggan experience. A slippery, smooth, and sweetly spiced sphere, this bite is just sublime. C’mon, who doesn’t love spheres? Personally, we never tire of them. More please! It’s creamy, spicy, and oh so good. No really, it’s insanely creamy. And rich. And kind of cookie dough-ish, which we suppose is where the ‘cookie’ part comes in. Perfection in a bite. 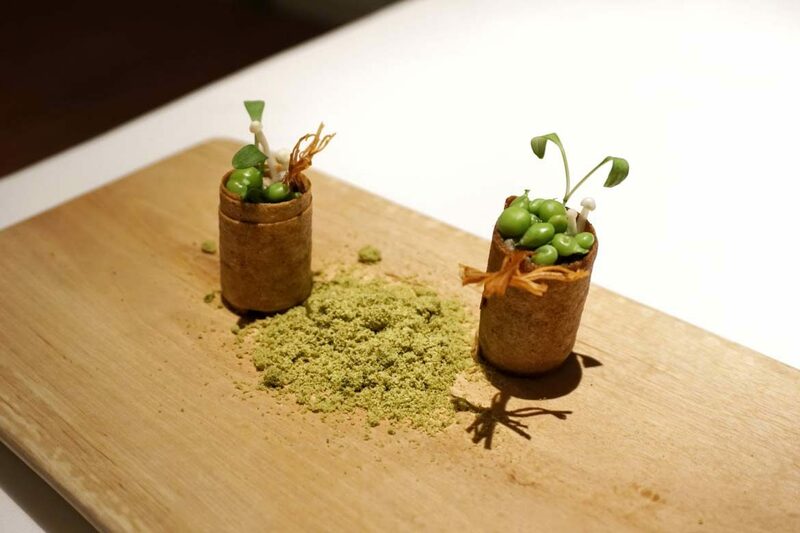 It’s my favourite dish of last year’s Gaggan experience wrapped up in a tiny cylinder, exuding all the earthiness one would expect from two of our favourite ingredients. Its crispy exterior, creamy interior and delicate pea dust definitely left us wanting more. It looks delicate and divine, and appearances don’t deceive here. Chicken liver pate is the star of this course, a favourite of mine – so needless to say, we loved it. 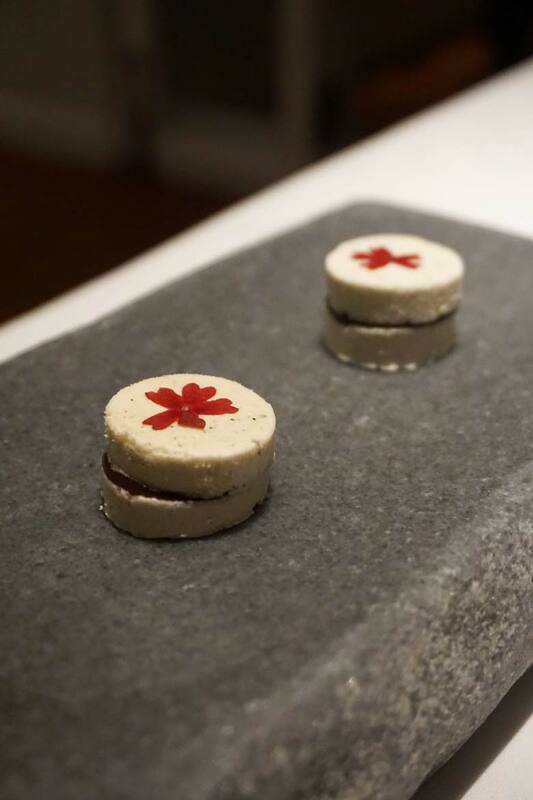 Impossibly crisp wafer and sake gel complete the bite. Seafood eaters, you’ll have uni – vegetarians, you’ll have sweet potato. The real treat in this course, however, is the support players. We guessed correctly that the flavours were mango and wasabi – but the twist is that the wasabi is a sorbet, and the cone is dehydrated mango. Genius. A course that revolves around the traditional Japanese matcha ceremony, we think we might like this incantation even more than the original. 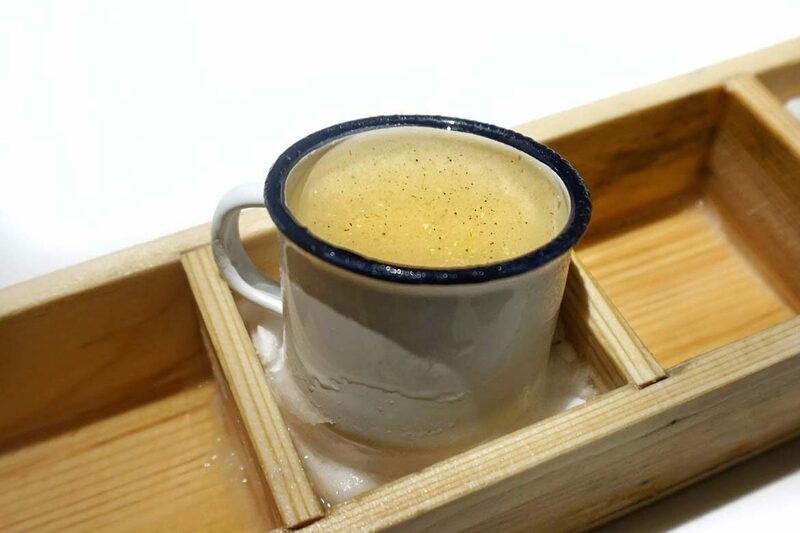 It’s a broth made painstakingly from hanging roasted tomatoes, and the delectable heat on your palate comes from black pepper alone…honestly, we’ve never tasted black pepper so purely – another signature Gaggan dish. It’s pulled pork in tonkatsu form, it’s topped with dehydrated cabbage, and it’s as delicious as it sounds. Can we add this to the list for our dream Gaggan tapas bar please? This was our dish of the night, and one of our favorite dishes of the year. We had the veggie version (daikon vs scallops) and we won’t use expletives, but this dish deserves them. It’s Panang curry as you never knew it – we just wanted to have this dish 25 times over for the entire menu. It’s that sublime. We’d come back for this time and time again. Thai flavours executed in a perfect modern interpretation. Ethereal. 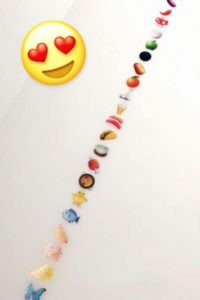 Being a huge fan of delightful flavours in small packages, it was wonderful to sit back and enjoy the lengthy and leisurely journey of small bites that comprised the emoji menu. The only downside of these small bites? We would have loved to have more of our favourites! One other thing we would say – even though the bites themselves looked gorgeous, a lot of the coloured plating choices didn’t enhance the look of the dishes, sometimes the opposite – so perhaps some more neutral (while still being architectural and interesting) plate designs would let the edible creations shine brighter. We also preferred last year’s chili bomb (the green version with silver leaf) to this year’s, and we’d have loved to have seen our fave Salli Boti stay on the menu over the Idly Sambar, but that’s personal preference. 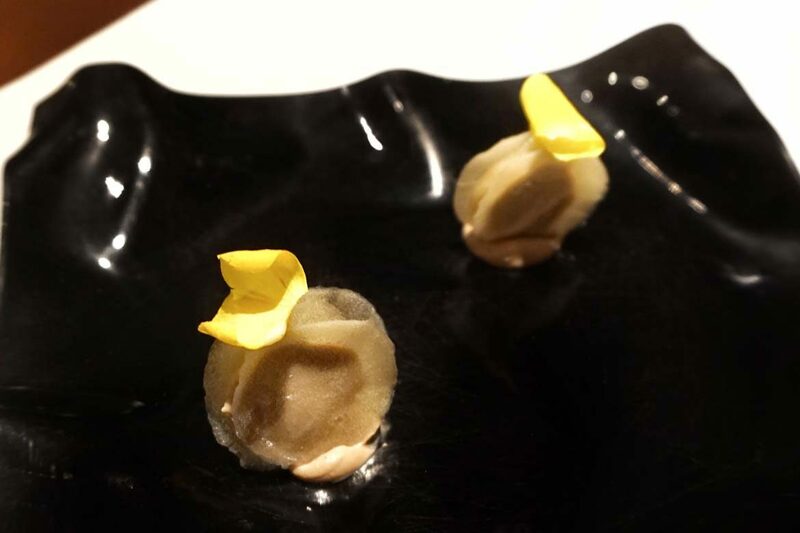 We can guarantee that you’ll be surprised, delighted and entertained by Gaggan’s emoji menu. We certainly were, and it’s fascinating to watch the ever continuing evolution of Gaggan’s creations. It’s still unmistakably modern Indian and carries a current of heat and spice throughout, but we feel this new menu has much more international influence. 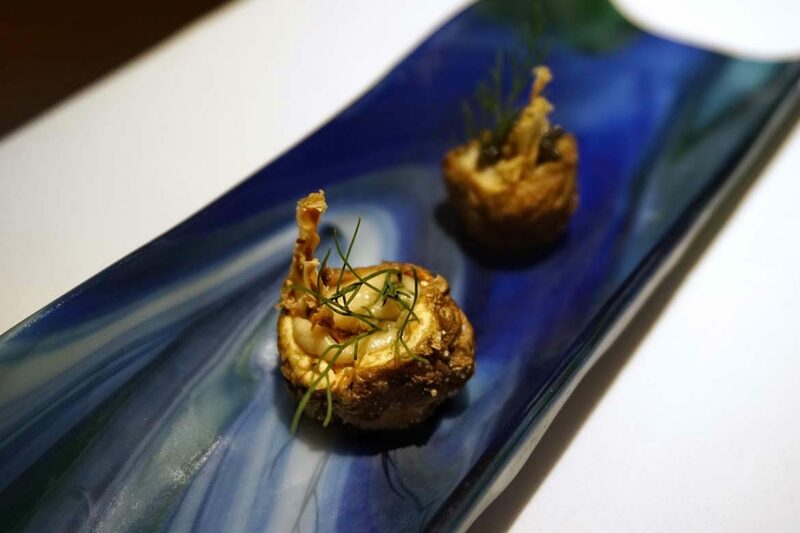 Gaggan’s love of Japanese cuisine, in particular, is evident, with courses inspired by sake, sushi, tempura, uni, matcha, chawanmushi and more. With his involvement in the fabulous Suhring, the soon to open Gaa (literally across the driveway) and Raa, there’s no stopping this culinary juggernaut. If you’re visiting Bangkok, it’s a must do. If you’re not visiting Bangkok, go there just to try it. 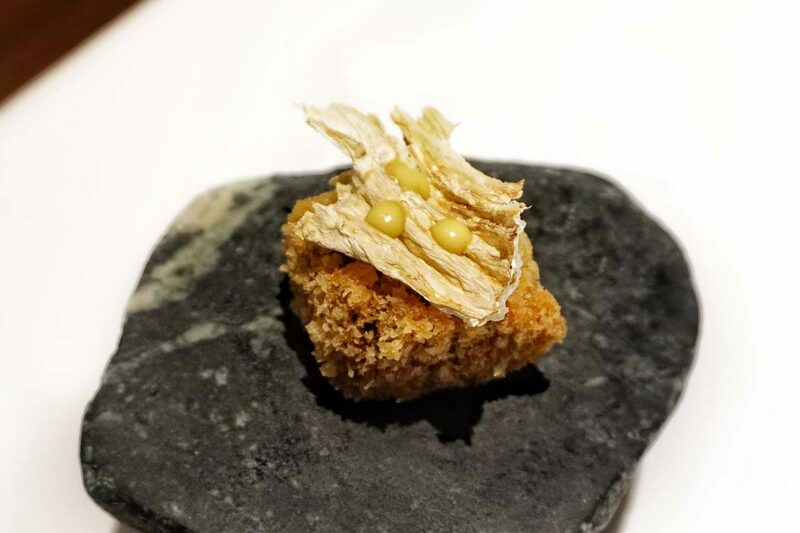 Or, if you live in Dubai, you’re lucky enough that you’re going to get the opportunity to experience a Gaggan ‘Best Of’ menu at his pop-up at the One and Only Royal Mirage 3-5 March. The tickets start at 825dhs (1275dhs with world-class wine pairing) and you’d be mad to miss it. This is the real deal.